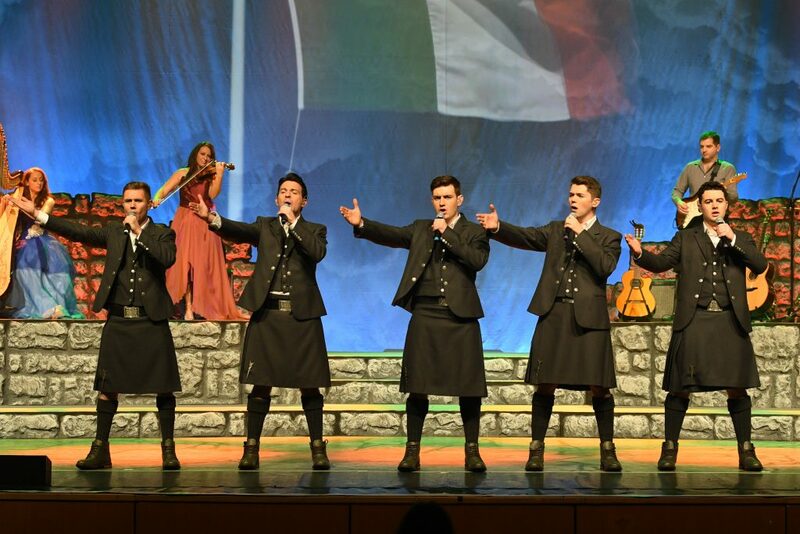 Celtic Thunder is delighted to announce that they have partnered with their friends at Yare TV to broadcast the CTX Show on a WORLDWIDE LIVE STREAM from Orillia, ON on Friday October 5th, 2018 with no regional block outs and can be viewed anywhere. If you’ve always wanted to watch a Celtic Thunder LIVE Show, now is your opportunity to watch Damian, Ryan, Michael, Emmet & Neil performing brand new ensemble numbers including “Sons of Light”, “Toora, Loora, Lay”, “The Wild Rover”, “Right is Right”, and “Castle on the Hill”. Among the many other fabulous new solo numbers and classics to savor will be nostalgic fun songs “Celebration”, “I’m a Believer”, “Seasons in the Sun” and “Rise Again”. The show will as always be backed up by the amazing Celtic Thunder Band. The LIVE BROADCAST is designed and supported for viewing on PC, Macs, Android Phones/tablets, and iPhones/iPads. For those with Google ChromeCast or Apple AirPlay devices, you can cast to your big screen as well! The site is responsively designed and can be viewed on a variety of screen sizes. For those with a Google ChromeCast or Apple AirPlay device, you can cast to your big screen as well. Just log into your Yare TV Profile HERE on October 5th @ 9:00 PM (ET) to watch LIVE and enjoy the show. You may adjust your time zone HERE.